Since I recently got rid of those “ratchet” ends (mentioned here) my hair has been on point and my curls have been poppin’! I don’t mean to sound like I’m bragging or anything but my naturalistas out there can relate…when your hair is doing it you can’t help but to feel good! Lol. Anyway, if you follow my blog then you know that my favorite style is the braid out. I never had much luck with twist outs simply because my hair just wouldn’t stay twisted…like I said my ends were awful; they suffered from a bit of heat and color damage. However I decided that I would give the style another go. 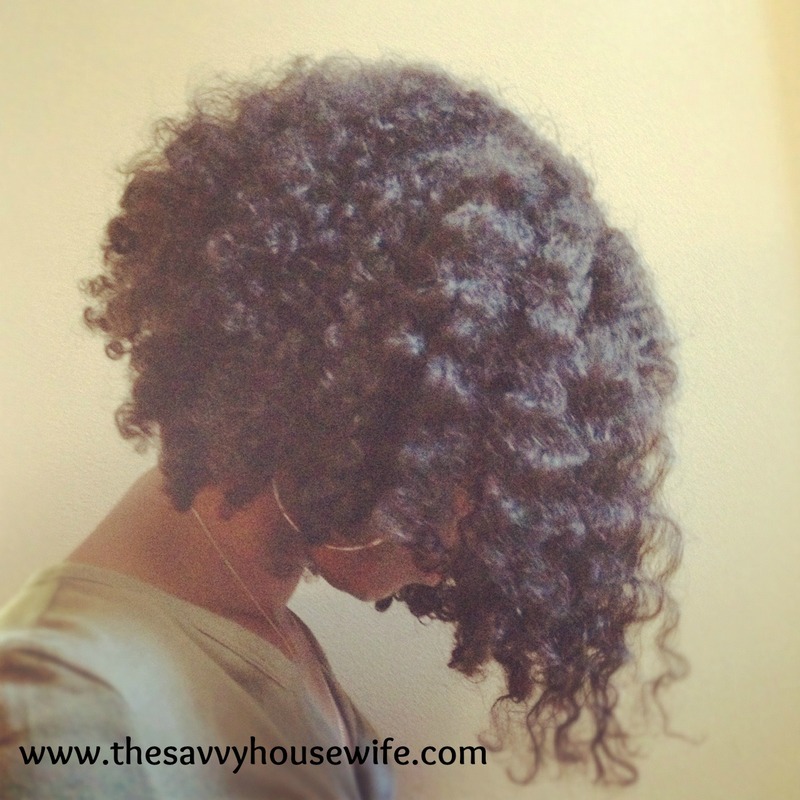 Check out the results of the twist out….revisited! My night time look…don’t judge me! Twist pinned up and ready for bed. 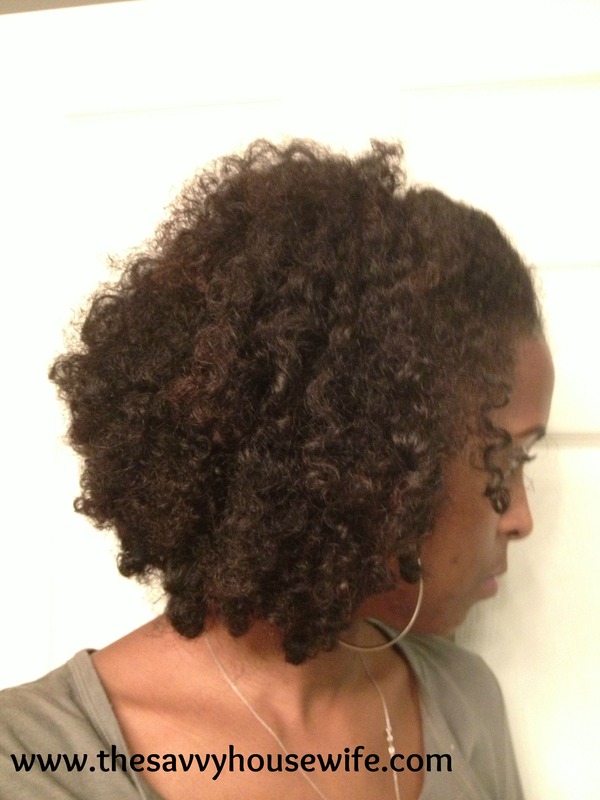 Side view – Day 1 of twist out. Day three of my twist out. The twist out was done on freshly washed and conditioned hair, I used the Shea Moisture Organic Shea Butter Curl & Shine Shampoo and a killer combo of leftover conditioners mixed with sunflower seed oil. To achieve the style I used my favorite…Shea Moisture Curl Enhancing Smoothie and I retwisted my hair every other night. 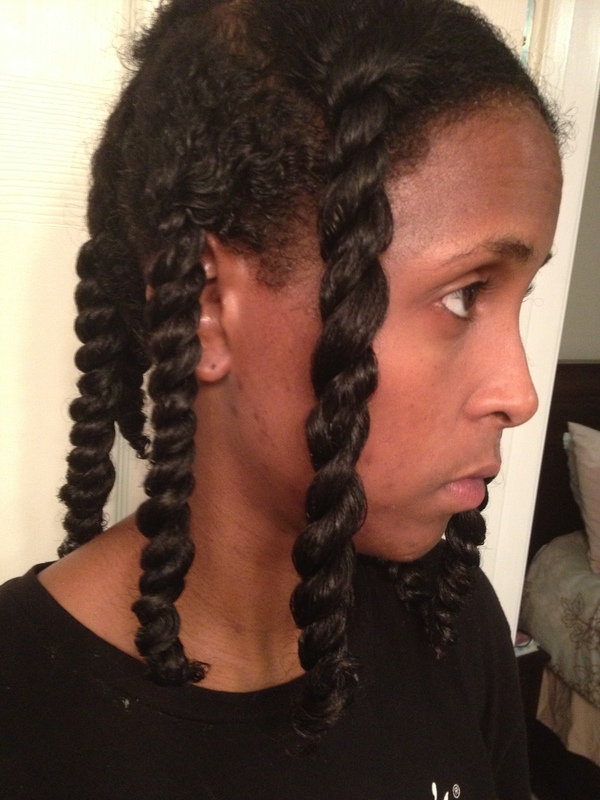 So what do y’all think of the twist out revisited? I’m thinking that this may be my new fav style…twist are so much easier to do than braids (lol). Have you revisited any styles lately? 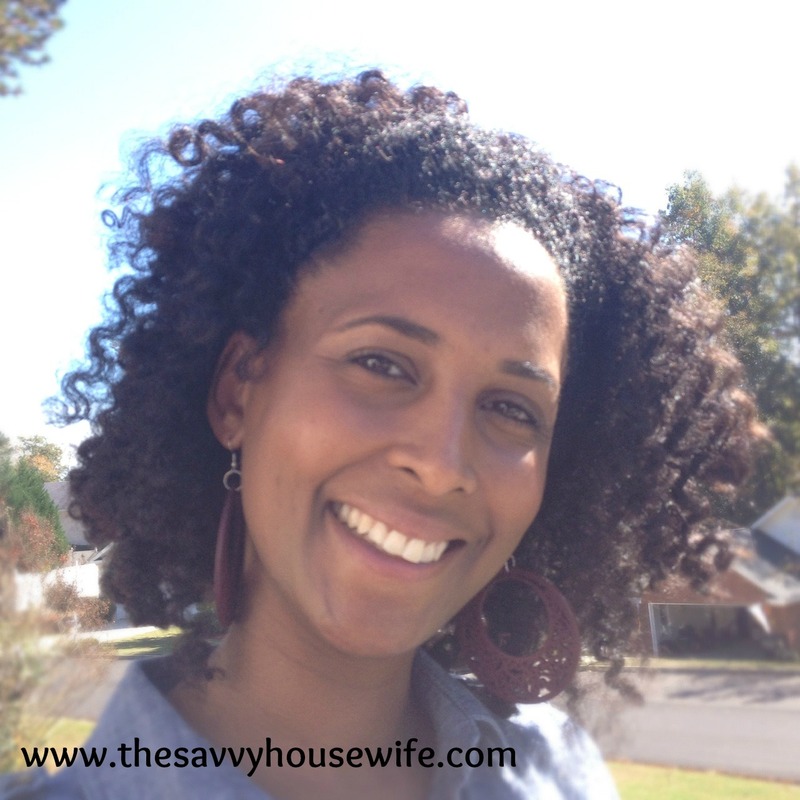 This entry was posted in Savvy Cruls and tagged braid out, natural hair, Shea Moisture, twist out on October 31, 2012 by Roni the Savvy Housewife. I’m MUCH more of a braidout queen too! I have revisted the twist out within the last year but I still don’t feel like I’ve perfected it. Plus…I have been preferring my flexirods. Your hair does look great! 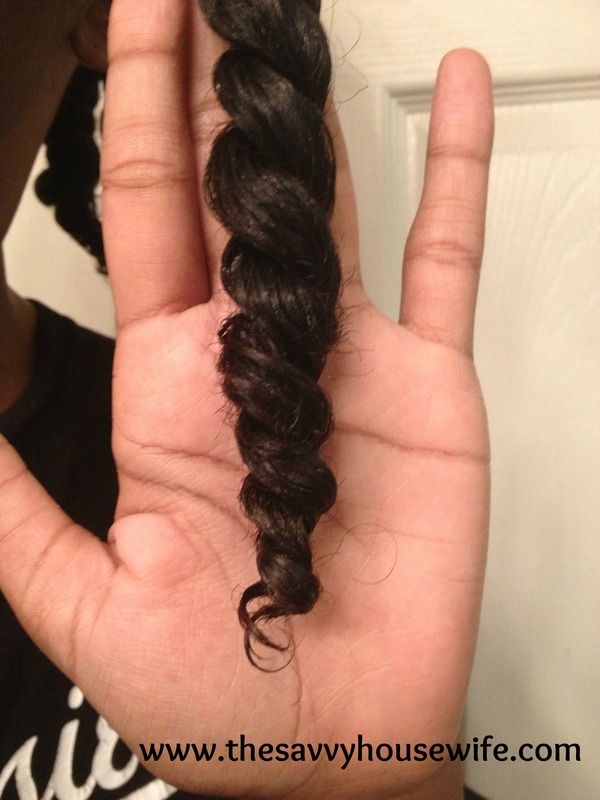 I’m linking this and your braidout post in your post on L4L! Looks great! Looking forward to my growth so I can do twist outs. I can’t braid so this is probably what I’ll do, within the next year hopefully. lol. Thanks ma’am! I love your hair and of course your style is amazing! I think the twist out is a fabulous low maintenance style for anyone. It looks great on you and especially since you are so busy. Looks real healthy too. Thanks Rondia! I’m all about simplicity and low maintence! And like I said is even easier to do than braid outs, so I will be rocking this style alot! Wow… the outcome is BEAUTIFUL!!!!! Once I get my braids out I’m actually going to try the Bantu Knots!!!!! You hair looks GREAT! Thanks so much Lynn! I love your brainds btw! I haven’t had much luck with bantu knots in the past I think I may have to try those out again too. Lol! I can relate to the ratchet ends. I think I need to trim my ends because my tresses have been acting so depressed and no product is working for it at all. 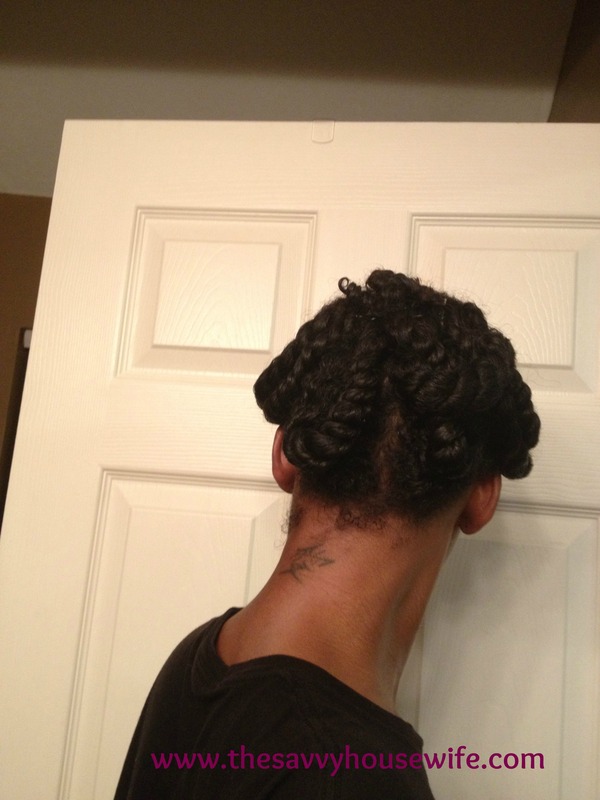 Your twist out is good girl.